The Philosopher's Path | 哲学の道! Not only is this gorgeous path a mere ~20-25 minutes away from campus by walking, but it's also one of the most stunning, gorgeous paths to visit during Sakura Season in April, or the Autumn Season between late October and early December. Apparently, this wonderful path gets its unique name from a famous Kyoto University Professor and Philosopher, who would walk along this path every day to help stimulate this creative mind. And it makes complete sense when you visit — you immediately feel a sense of calm and relaxation, or at least I do. The serenity, the calm, the peacefulness, are all major attractive elements of this gorgeous 1.5-2 kilometer walk. If you wander away from the main walk, you can also visit a number of small temples that surround the path. And it's the best place to get your mind off of work, as you enjoy the natural beauty and breathe in the fresh, crisp air. Or, it can help stimulate your creativity, as it's surrounded by greenery. Side Note: If you didn't already know, studies have shown that the color green can help enhance creativity. Also, I absolutely love the fact that you get a diverse mix of both foreigners and Japanese people. Plus, you have a wide range of cafes, restaurants, and gift shops. Also, there are often two artists who hand paint and hand draw gorgeous postcards that they sell for around 100 yen. If you have a bit more time, or only have class in the afternoon, this is a wonderful hike that you can accomplish in a few hours. Depending on how fit you are, the more quickly you can climb up this mountain. In fact, I used to meet friends at Kyoto University at 10 am, and then be back down for lunch around 12 pm. That being said, it's not a super easy hike. Honestly, it feels like a Stair Master exercise machine for ~30 minutes, but the view at the top, is absolutely breathtaking and 100% worth the hike. 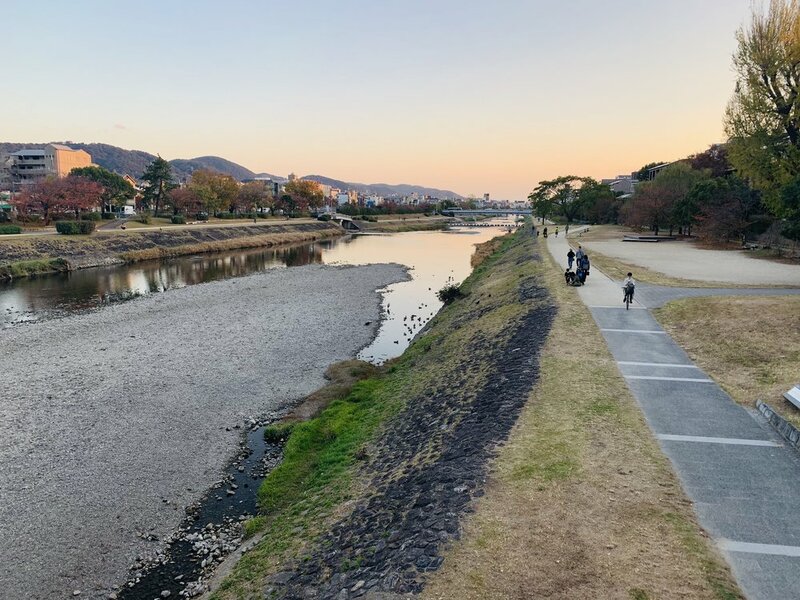 From Kyoto University, you can arrive at the gorgeous Kamogawa river in about ~10 minutes by walking. Since I live near the river, and it's on my path towards school, I walk along it every single day, and every day, it looks different. Sometimes, the water level is high, sometimes it's low. Sometimes there are quite a few people, and sometimes, there are very few people. And sometimes, you can see gorgeous sunsets. I absolutely adore this river, as it changes every single day, it's quite long and expansive, and it's absolutely stunning. 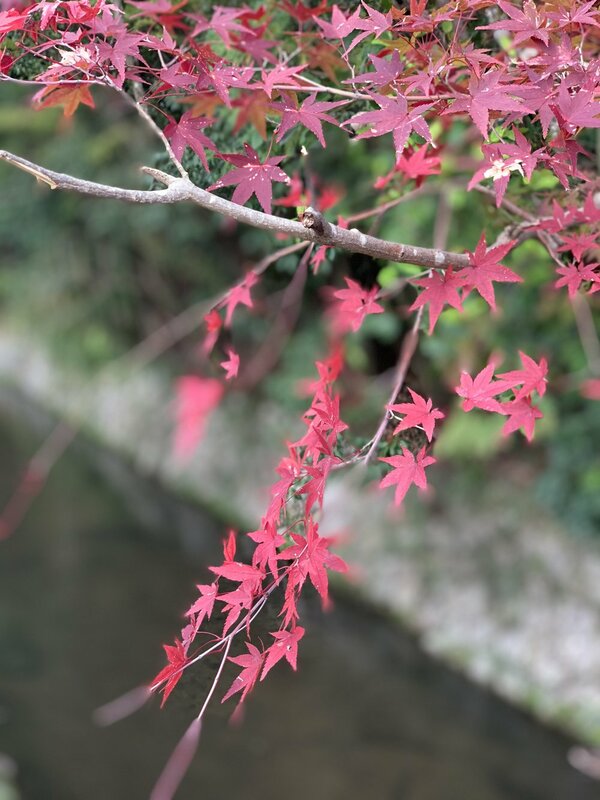 The river is one of the most natural beauties in all of Kyoto, and one of the main reasons why I love living in Kyoto.